Consumption reduced by around 20%. The government has reduced the lower threshold of gas utility consumption, which determines the size of the subsidies. 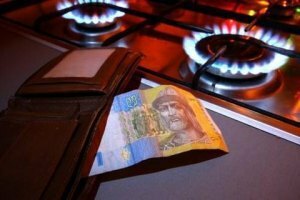 Now for those who use gas for heating, the rate of gas consumption for heating per square meter of apartments reduced to 5.5 cu m. m instead of the previous 7 cu m. If the actual amount of consumed gas per square meter exceeds 5.5 cu m, the house hold will have to pay for the difference in full. Also, the Cabinet lowered the consumption threshold for those who do not have gas heating but uses gas for cooking and has a gas boiler. The Cabinet has decided as of 1 May to set a uniform gas tariff for both industrial and household consumers at 6,879 hryvnia per cubic meter.